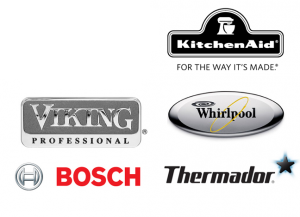 Bosch Repair K&N Repair is Houston’s premiere Bosch Appliance Repair [replace_lc] Center. K&N Repair has been proudly serving the Houston area for over 35 years. K&N Repair specializes in Bosch Washer Repair [replace_lc], Bosch Dryer repair, Bosch Refrigerator repair, Bosch Freezer repair, Bosch Ice Machine repair, Bosch Ice Machine repair, Bosch Cook Top repair, Bosch Vent Hood repair, Bosch Range repair, Bosch Oven repair, Bosch Under Counter repair, Bosch Trash Compactor, and Bosch Wine Cooler repair [replace_lc]. When you call expect nothing less than the highest quality of professionalism in the industry, with very competitive pricing. When you invite K&N Repair into your home, you will encounter not only factory authorized technicians, but service experts who each have at least 15 years of experience. No other service company in the appliance industry focuses the same amount of attention and resources to keep our technicians & customer service staff abreast of current technology and product knowledge. Our technicians are always diligent about treating you, your appliance, and your property with respect. Many of our customers look to K&N Repair [replace_lc] as their preferred service provider.